Given that most of their songs are about how fun it is to drive cars on the beach while the sun is shining and the surf is up, there’s always been something extra bizarre about the strange link between surf-rock smile guys The Beach Boys and the criminal cult known as The Manson Family. 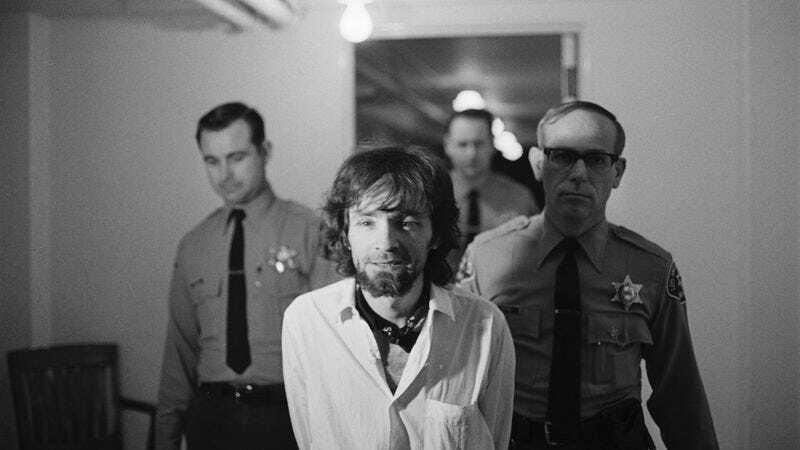 And yet, for a brief period in the late ’60s—before Manson and his associates went on a murder spree that included the death of actress Sharon Tate—the two groups moved in roughly the same circles, thanks to singer, songwriter, and seeker Dennis Wilson, who welcomed Manson and his “girls” into his home after a chance encounter. Love took his leave of the mansion shortly after, writing, “We got the hell out of there. And as we pulled out of the driveway, I thought, Denny, you’ve got a real nut case for a roommate now.” Mike Love. Singer. Co-writer of “Surfin’ Safari.” Master of understatement.